Overactive bladder (OAB) is a urologic condition that negatively impacts quality of life. Sacral neuromodulation (SNM) is a safe and effective treatment option that has been studied extensively in patients with severe and refractory OAB. SNM significantly reduces urgency, frequency, and incontinence while also improving quality of life. Although SNM is not currently indicated for the treatment of OAB symptoms due to neurologic disease, recent literature suggests that these patients may also benefit from SNM. Other areas requiring further investigation include reduction of adverse events associated with SNM and the overall cost benefit ratio of SNM. Bladder and Bowel Community. 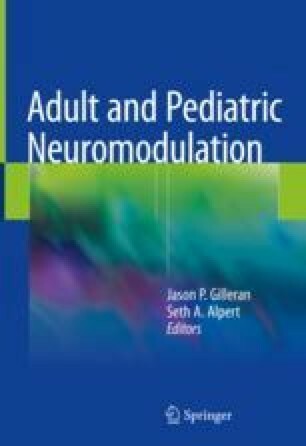 Sacral Nerve Stimulation (Sacral Neuromodulation Therapy); [cited 2017 Jan 22]. https://www.bladderandbowelfoundation.org. MRI guidelines for InterStim Therapy Neurostimulation Systems. 1st ed. Medtronic, 2017; [2017 Jan 15]. https://professional.medtronic.com. Noblett K, Benson K, Kreder K. Detailed analysis of adverse events and surgical interventions in a large prospective trial of sacralneuromodulation therapy for overactive bladder patients. Neurourol Urodyn. https://doi.org/10.1002/nau.23076. [Epub ahead of print]. Medtronic: Manuals and Technical Resources; [cited 2017 Jan 15]. http://professional.medtronic.com/products/interstim-II-sacral-nerveneurostimulator/manuals-and-technical-resources/index.htm.